The following incidents have been listed by Athens County Crime Solvers Anonymous as the December 2018 Crimes of the Month. 1. 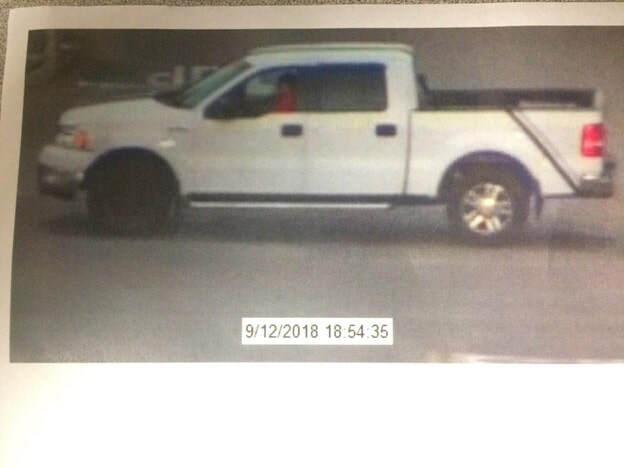 On September 12, 2018, near 7:00 PM, an individual had parked his truck and trailer, which had grass cutting equipment on it, in the parking lot at Wal-mart, located at 929 E. State St. A short time after the vehicle was parked, a white Ford F-150 pulls alongside the truck and trailer. The subjects stole a backpack blower and a trimmer. Please see the attached photographs. The board is offering a $1000 reward for information on this crime. 2. On September 18, 2018, between 7:00 AM and 1:00 PM, unknown person(s) stole several sections of metal grate that was covering a drain at Ohio Health O’Bleness Hospital. This particular drain is located at the rear of the hospital. The board is offering a $500 reward for information on this crime. 3. On October 10, 2018, the Athens Police Department responded to the Dairy Lane Park for a reported arson. An individual(s) had positioned a large trash can and wooden windmill from the putt-putt golf course on the baseball field and set them ablaze. The board is offering a $500 reward for information on this crime. 4. Between October 11, 2018 at 5:30 PM and October 12 at 7:00 AM, unknown person(s) forcibly entered the Ali Baba food trailer while it was parked on Columbus Rd. Upon gaining access to the interior of the trailer, the individual(s) stole the cash register and safe. The board is offering a $1000 reward for information on this crime. The following incidents have been listed by Athens County Crime Solvers Anonymous as the November 2018 Crimes of the Month. The following incidents have been listed by Athens County Crime Solvers Anonymous as the October 2018 Crimes of the Month. 1. 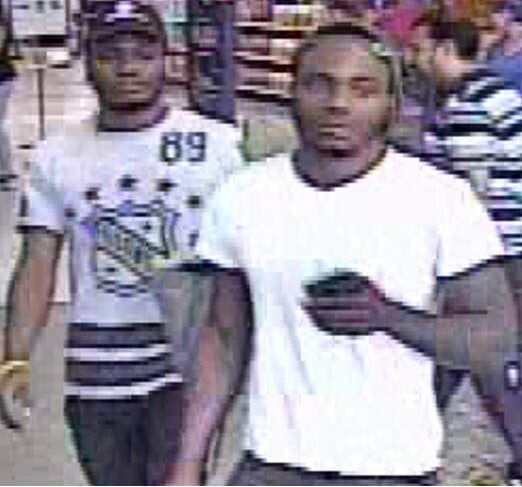 On July 28, 2018, between noon and 1:30 PM, three unknown black males entered Wal-mart, which is located at 929 E. State St., using a stolen credit card, and purchased a large amount of gift cards. After leaving Wal-Mart in Athens, the three travelled to Logan, Ohio and again repeated this activity in the Wal-Mart store there. One of the males was apprehended in Logan, Ohio while the other two absconded. 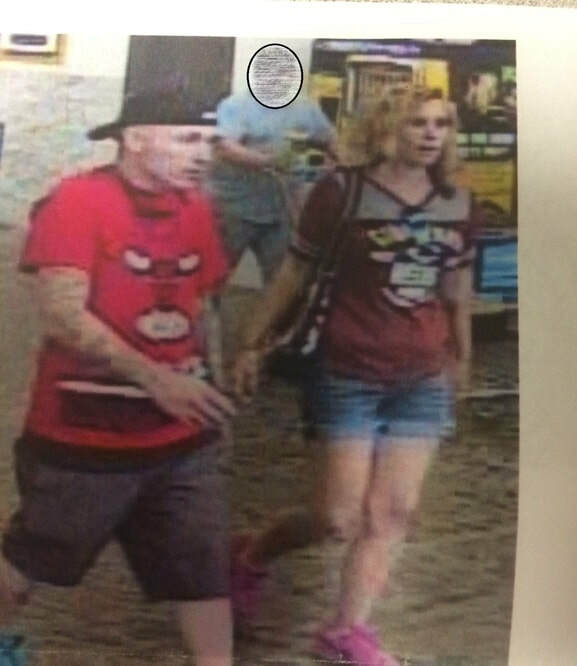 Law Enforcement is seeking to identify the other two individuals involved in this offense. Please see the attached photographs. The board is offering a $2000 reward for information on this crime. The following incident has been listed by Athens County Crime Solvers Anonymous as the July, 2018 Crime of the Month. 1. On June 20, 2018, between the early morning hours and 8:00 PM, unknown individuals stole a 1974 red Honda CB750 motorcycle. The incident occurred while the motorcycle was parked at 363 Richland Ave. Athens, Ohio. The board is offering a $2000 reward for information on this crime. The following incident has been listed by Athens County Crime Solvers Anonymous as the June 2018 Crime of the Month. The Athens County Sheriff’s Office is requesting your information pertaining to a crime which occurred in the County. 1. On February 15, 2018 at approximately 3:40 AM, P.A.’s Sure Stop, located at 8942 United Ln. Athens, was forcibly entered. After gaining entry into the business, three males quickly gathered a large amount of cigarettes and then fled the scene with them. Area convenience stores/gas stations have suffered similar break-ins in the past and the same items (cartons of cigarettes) are stolen in large quantities. Residents are asked if they see individuals sitting in vehicles or loitering in the early morning hours near these types of businesses, to call the appropriate law enforcement agency as soon as possible. The board is offering a $2000 reward for information on this crime. 1. Between March 29 at 6:00 PM and March 30, 2018 at 6:00 PM, unknown individuals forcibly entered a building located at 1 Deere Dr, Athens and stole three motorcycles. The motorcycles are described as a green Honda 350 4x4 quad-runner, a red Artic Cat 250 4x4 quad-runner, and a Yamaha 100 motorcycle. The board is offering a $2000 reward for information on this crime. The following incidents have been listed by Athens County Crime Solvers Anonymous as the May 2018 Crimes of the Month. The Ohio University Police Department is requesting your information pertaining to a crime which occurred near campus. 1. On April 19, 2018 at approximately 8:00 PM, an individual was walking on Dairy Ln near the 7900 block when she was confronted by an unknown male displaying a knife. The male grabbed the individual, pulled her from the roadway, and then stole property. The individual was able to fight off the attacker and then fled the area. The board is offering a $2000 reward for information on this crime. 1. Over the course of the past 30 days, the Athens Police Department has responded to 18 reported burglaries. Primarily these burglaries have taken place in student housing areas over the course of Ohio University’s winter break. Common items stolen during these burglaries are video gaming systems, laptop computers, televisions, safes, and other items. The board is offering up to a $2000 reward for information on this crime. 2. Between February 15, 2018 at 7:30 PM and February 16, 2018 at 9:15 AM, an unknown individual(s) purposefully caused significant damage to a blue Hyundai Elantra. The individual scratched profane words and marks on every body panel of the vehicle along with causing other damage to it. This incident occurred while the vehicle was parked in the parking area at 30 S. Court St. The board is offering up to a $1000 reward for information on this crime. 1. Over the course of the past 30 days, the Athens Police Department has responded to 18 reported burglaries. Primarily these burglaries have taken place in student housing areas over the course of Ohio University’s winter break. Common items stolen during these burglaries are video gaming systems, laptop computers, televisions, safes, and other items. 1. On October 21, 2017 at 9:05 PM, a female was walking near Lot 104, located between Stewart St and N. McKinley Ave, when she was approached by a male. The male restrained the victim and then illegally touched her. The female was able to strike the male and flee to safety. The male is described as white, 5’9” tall, wearing blue jeans, a gray shirt, and a black zip-up hooded coat. 2. On November 16, 2017 at 6:00 PM, a female was walking on E. Union St (Jeff Hill) near Edgehill Dr when she was confronted by three males. One of the males made an inappropriate comment and she asked what he said. 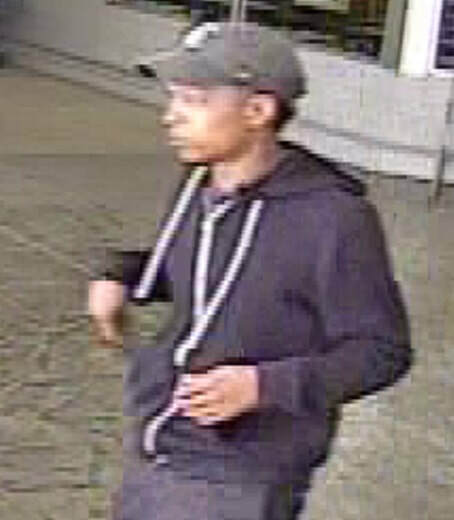 This same male was carrying an unknown object which he threw it at the female, striking her in the face. The three males then fled the area.